Being a right back requires a lot of attributes that make up an entire package. Firstly, he must have reserves of stamina to help him gallop up and down the pitch, balancing attacking and defensive play. He must possess a decent cross on him to supply the attack with ammunition, his work rate must be second to none, an efficient tackler and his positional awareness must be top-notch. In the beautiful game, many footballers ply their trades in this coveted position that has been marauded by legends like Cafu, Gianluca Zambrotta, Lee Dixon, Gary Neville among others. In the present day, you can’t look no further than the likes of Philip Lahm, Maicon, Pablo Zabaleta, Dani Alves, Stephan Liechsteiner, Rafael, who in their days, they’re forces to be reckoned with. At Arsenal, we have had the opportunity to witness fine athletes play in the traditional No. 2 position and the first Gunner I’d watch play that position was Dixon. When his era passed, Lauren Etame-Mayer did his thing down the right before paving the way for a young cult hero, Emmanuel Eboue. In 2007, Arsene Wenger went to a familiar hunting ground to pluck off an unearthed Bacary Sagna whose debut campaign was so successful that he won a place in the 2008 Team of the Year. This model for consistency had set the standards for himself and the Gunners believed that he was the real deal. As the seasons passed by, Sagna was synonymous with first team action and continued to flourish as well as maintaining his optimal fitness levels. But in rather unfortunate circumstances, the fullback suffered a horrific leg fracture in the ground of the Old Enemy, sidelining him for a considerable chunk of the campaign. To add to Arsenal’s woes, his replacement, Carl Jenkinson, was nursing a back injury. After some rigorous rehabilitation, Sagna made his comeback only to suffer another broken leg against Norwich, missing Euro 2012 in the process. LOSC Lille Metropole fullback, Matt Debuchy (recently joined Newcastle) deputised in his stead and didn’t put a foot wrong throughout the tournament. Sagna wasn’t to feature in competitive action till Autumn, but he grabbed a place in the back pages when he voiced his frustrations about the sales of RVP and Alex Song, which led to speculation that he was next in line to join the world-famous Arsenal exodus. Coupled with the fact that his contract runs out soon, the media vultures continued to add fuel to fire, linking him with a move to oil moneybags, PSG. After some Under-21 outings, Sagna made his return to the delight of the Arsenal faithful but with Jenkinson hitting top gear, many fans had hoped that the youngster would give the Bac Man a run for his money. This season, Sagna has become a complete shadow (even if he’s as dark as one) of the player I once labeled as the football S.I. Unit for consistency. Sagna has been below-par throughout the campaign and he has capped it off with some appalling displays marred by torrid crosses and shameful schoolboy errors. In Arsenal’s away encounters against Everton and Southampton, Sagna was culpable for the goals conceded courtesy of some sloppy passes that were intercepted by the opposition. Sagna’s positioning has been downright appalling in some games as well, with memories of Juan Mata’s early goal in Stamford Bridge ringing bells in my head. When Newcastle visited the Emirates, Sagna made Gabby Obertan look like Ronaldinho. Despite the shortcomings from a player so renowned for his consistent performances, Sagna’s outing against Sunderland, albeit an unfamiliar center back position, was one of his finest in Arsenal colors. He worked in tandem with Per Mertesacker and they quelled every threat Sunderland posed despite their numerical advantage. Carl Jenkinson has been a phenom this season and has shown that he has what it takes to succeed in a club like Arsenal but Wenger’s undying faith in Sagna (understandably) proved to be his undoing when Man Utd visited the Emirates last weekend. For reasons best known to Lord Voldemort, Freddie Krueger and that Nenemis character from Resident Evil, Sagna inexplicably chose to send a sloppy pass that was gracefully received by van Persie. In his attempt to seek redemption, a rush of blood to his head saw the Frenchman scythe RVP inside the box, giving the ref no choice but to point to the spot. We all know how that panned out and it’s fair to say that Sagna’s complacency cost his team dearly and he has clearly let his teammates down, which ultimately leaves the manager with a decision to make. Will Wenger allow Sagna to have a chance to redeem himself when the Gunners visit QPR or will the manager take a ruthless approach by benching him for Jenkinson? This is certainly a bone of contention that would leave Arsenal fans with divided opinions but it’s glaring that the manager has to make a decision for the good of the team. Despite the fact that Thomas Vermaelen remains one of the finest defenders in the team, he has found it really hard to displace last season’s best defender by a far mile, Laurent Koscielny. action with Sagna taking his place in the dugout. If Wenger could have the balls to axe his captain and his first choice goalie for several weeks, I don’t see this underperforming right back retaining his place. With the games coming thick and fast, Arsenal can ill afford another slip up, even if the last draw was achieved when they chose to shoot themselves in the foot yet again. I’ve been having serious constraints blogging recently because of my Internet connectivity issues but on days like this, the good ol’ WordPress for BlackBerry had to come in handy. With Wigan’s late capitulation against that lot from White Hart Lane coupled with Chelsea’s halftime lead over Swansea, Arsenal had it all to do against the newly crowned champions, Manchester United, on a warm afternoon at the Emirates. This season, Arsenal’s record against their fellow rivals at the top has been nothing short of appalling. Prior to this game, they had managed only one win against 10-man Tottenham as well as draws against Manchester City (away) and Everton (home and away). The rest had been disappointing defeats. Arsenal put up a shambolic outing against Fulham but got maximum points from the encounter. However, Arsene Wenger chose to tweak his squad, bringing on Kieran Gibbs for Nacho Monreal with Lukas Podolski replacing the suspended Olivier Giroud. After honoring the champions with the customary Guard of Honor, the boo boys started gearing up for the game’s pantomime villain, Robin van Persie. Arsenal began the game like a house on fire with the Gunners midfield closing the opposition further up the pitch. RVP lost the ball in midfield, causing Arsenal to launch a swift attack through Podolski and Rosicky. When the Czech maestro teed up Theo Walcott with a delicious through ball, the pacey Englishman was marginally offside but he finished his chance aplomb, bringing an end to his much talked-about goal drought. Aaron Ramsey fashioned a chance for Santi Cazorla and the diminutive magician wasted no time in blasting a left-footed drive goalwards. Man Utd’s shot stopper, David De Gea, parried the ball to safety. RVP had his first sniff at goal with a half chance that was blasted over the bar, much to the delight of the Emirates faithful. Phil Jones was brandished a yellow card for a rash lounge at Mikel Arteta but Walcott’s free kick was an aberration. Jones neglected his defensive duties and made a lot of ground to be on the end of a van Persie flick but his header glamced wide off the mark. Van Persie incurred the wrath of the crowd when the scythed Per Mertesacker down with a careless challenge, earning himself a booking as well. Arsenal hit Man Utd on the break with another counter attack with Ramsey at the thick of things but he probably made a wrong decision in feeding Podolski on the left when Walcott was free. The German with a left foot as powerful as Thor’s hammer fired a piledriver at De Gea but the Spanish goalie saved the shot. Luis Nani exposed Bacary Sagna’s defensive frailties on the left hand side before flicking a cross to van Persie but Szczesny saved the header at point blank range using his head, which ultimately caused him some discomfort as he hit the deck with consummate ease. Just when we thought that Sagna was having a bad day, it became a whole lot worse when the French defender inexplicably chose to gift the ball to van Persie and in his attempt of redemption he conceded a blatant foul in the box, leaving Phil Dowd with no choice but to point to the spot. Szczesny guessed right but the power on van Persie’s shot was too much for the Pole. All Arsenal’s good work in the first half undone by the sheer stupidity of one of the most experienced lads in the squad. A shameful familiar story. As expected, Arsenal began the second half with more urgency with Ramsey instigating another attack before feeding Rosicky. Little Mozart chose to use the outside of his boot to fire the ball miserably wide. With Arsenal failing to take the attacking initiative, Man Utd almost went two up when van Persie received a pass on the left from Shrek before drilling the ball into the box but there was no player on white to strike the killer blow. Man Utd gained some momentum and pushed on for the goal that would settle the tie. With Sagna clearly struggling on the right, Patrice Evra made a rear foray forward and lofted a cross for Shrek but his header was saved by Szczesny. Arsene Wenger replaced the vibrant Rosicky with Jack Wilshere to add some steel to the midfield. Arsenal had another chance at goal when Antonio Valencia handled the ball outside the 18-yard box but Cazorla’s free kick was pretty damn poor. With Podolski having a peripheral outing, Wenger replaced the ineffectual German with Gervinho. Arsenal continued to press on but Man Utd held the fort with some last-ditch tackling from Phil Jones. Wenger threw his last ace in the deck by bringing on the Ox for Ramsey. It was gung-ho stuff from Arsenal as they attacked with urgency, leaving gaping holes at the back but I was awed when Sagna, Mertesacker and Koscielny slid at the same time to block Shrek’s attempt on goal. Gervinho created a chance for Cazorla but the Spaniard’s effort was saved by the impregnable De Gea in goal. Right at the death, Man Utd would have grabbed all three points when Shrek created a clear-cut chance for Hugh Giggs Hefner but the old hag chose to dally on the ball with the goal at his mercy. In the end, a point gained from a game against the champions may not be as bad as it seems, bearing in mind that the Gunners are still within touching distance of a Champions League qualifying place. With this in mind, I really can’t wait to watch the long-awaited game in hand between Chelsea and Tottenham. That would be one hell of a cup final. With a Robin van Persie-inspired performance handing Manchester United their 20th league title, their arch-rivals, Manchester City, will have to settle for second place and will be odds on to do some business this summer with their petro-greens. While the city of Manchester can brag about having the best two teams in the land, the city of London is currently in an intense battle as Arsenal, Chelsea and Tottenham are fighting hard for the remaining coveted Champions League spots. 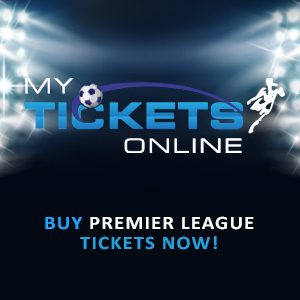 While Chelsea and Tottenham have grueling fixtures as well the game in hand against each other, Arsenal has four more fixtures against the champions, Manchester United, relegation-threatened Queens Park Rangers and Wigan as well as a Newcastle side not still assured of their Premier League status. While a draw against Manchester United seems like the most possible outcome, the Gunners will be assured of a place in next season’s Champions League if they can record consecutive wins over QPR, Wigan and Newcastle, as either Chelsea or Tottenham will have to drop points when they play against each other. Following an Independent Regulatory Commission hearing today, Arsenal’s Olivier Giroud has had his claim for wrongful dismissal rejected. 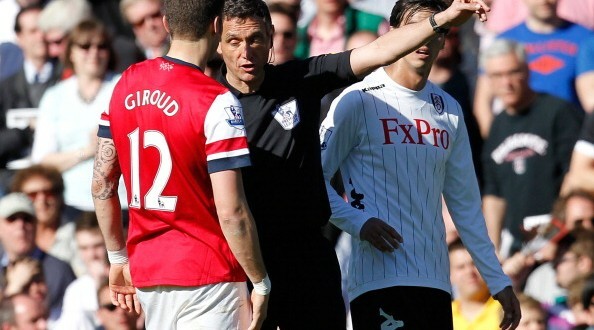 “Giroud was dismissed for serious foul play during his side’s game against Fulham at Craven Cottage on Saturday 20 April 2013. In his debut campaign at Arsenal, the French forward has enjoyed a somewhat decent season that saw him score in purple patches as well as going through spells of goal droughts. Despite the fact that Giroud is Arsenal’s second highest goalscorer behind Theo Walcott (who’s also on a drought) with 17 goals, many Arsenal fans won’t be quick to forget his glaring misses as the campaign progressed – the blatant miss in his debut against Sunderland, that spurned chance in the dying moments against Chelsea at home and more recently, the sitter against Everton last week. With Giroud out of the side for three games before a potential return in the final game of the campaign against Newcastle, Arsene Wenger will have to assign another player with the task of coming up with the goods while Monsieur Giroud gets some rest. Prior to his red card against Fulham, Giroud had notched up 46 appearances for the club and he could do with a breather to recharge his batteries, even if it’s forced by suspension. Without further ado, here are the likeliest of attacking alternatives that could be selected by Arsene Wenger for the games against Manchester United, QPR and Wigan in Giroud’s absence. The Ivorian forward has endured a topsy-turvy campaign this season. Despite having a debut that was tainted by the antics of Joey Barton, Gervinho was in good form before representing his nation in the 2012 African Cup of Nations but after missing the crucial penalty that his nation lose the finals to Zambia, Gervinho returned to Arsenal like a player that was possessed with a ghost. With a good summer’s break to cool off, Gervinho shocked everyone in the start of the campaign with some inspired performances that saw him score a brace against Southampton and it was followed with goals against Montpellier, Chelsea and Olympiakos making the Ivorian Arsenal’s leading goalscorer at that point in time. As the months progressed, Gervinho’s form dwindled and his performances in the cup games against Bradford and Blackburn were marred with glaring misses that proved costly as Arsenal were ousted from both competitions. This brought Gervinho into the bad books of the fans and probably his manager as he featured sparingly. In a strange twist of fate, an injury suffered to Theo Walcott during the last international break paved the way for Gervinho to get a run-out and he grabbed the chance with both hands as he was instrumental in Arsenal’s victories over Reading and West Brom. Just when we thought that Gervinho was finding some form, he was back to his frustrating best against Norwich as he hasn’t returned to the first-team setup. On his day, Gervinho is a force to be reckoned with as he’s a fleet-footed player with good dribbling skills and some flamboyancy but for some strange reason, his technique is questionable and he generally runs out of ideas in the final third. With Arsenal looking for a forward to come up with the goods, Gervinho wouldn’t be a likely option. Arsenal’s leading goalscorer, Theo Walcott, will look back to this season with a keen sense of pride. With Robin van Persie departing for greener pastures, Arsenal needed some players to step their games up and in all fairness, Walcott falls into that category. Some may label the forward as a one-trick pony but Walcott’s efficiency in front of goal has been very clinical and the nature of his goals this season is a testament of these claims. However, Walcott struggled a bit when he was deployed as a center forward at Giroud’s expense last winter. His height was clearly an issue as he offered no threat from the air and wasn’t able to bring his teammate’s into the game with nice flicks and linkup moves. Notwithstanding, Walcott’s blistering pace remains a potent force and Arsenal can use it to their advantage, especially against slow defenses like that of QPR and Wigan. The German is currently ranked in third place in Arsenal’s scoring charts, as he has managed to score 14 goals and lay on a couple of assists in his maiden season in England. While he may not produce performances that would make you drool week in week out, Podolski’s efficiency, work ethic and consistency (and injuries, of course) have been the major highlights of his fledgling Arsenal career. The German has struggled with niggling injuries in the course of the season and has been on the fringes as well but when he’s summoned from the bench, he has gone on to make some telling contributions to the overall play like his equalizer against Swansea in the FA Cup third round or his match clincher against Norwich last week. With Giroud out through suspension, Arsene Wenger has tipped Podolski to spearhead the team’s attack, and I can bet my smart money that the German would lead the line in these upcoming fixtures against Manchester United, QPR and Wigan. This season has shown that there are players within the team that can deputize for the first-team regulars and still put on a great shift. In goal, Lukasz Fabianski replaced the under-performing Wojciech Szczesny and made some commanding displays in goal before injury thwarted his progress yet again. In defense, Carl Jenkinson has been immense when Bacary Sagna is out injured and with Laurent Koscielny’s solid performances in tandem with Per Mertesacker, it has been hard for the captain to command his place back in the starting lineup. Irrespective of who Arsene Wenger selects as his center forward, Arsenal would be expect to get maximum points in their remaining fixtures for the remainder of the season. With Giroud serving his match ban, Arsene Wenger will need to act fast. The question remains – will he go for the trickery of Gervinho, the raw pace of Walcott or the efficiency of Podolski.